Every year Bryan and I go to the Dufferin Mall parking lot to buy our Christmas tree. It's local, quaint and we even get a free candy cane out of the deal. 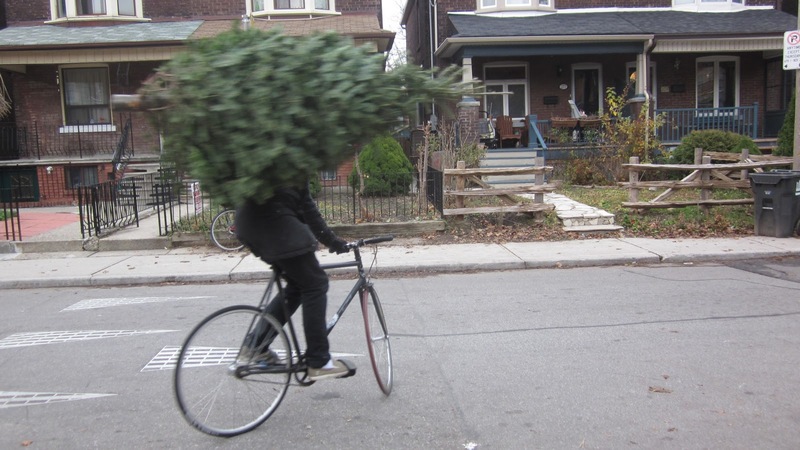 My favourite part however is witnessing Bryan carry the tree home... while riding his bike! This is the second year in a row that he has done this and it's definitely a head turner. I love this little tradition so much, it really makes the holidays come alive. You must live near me ... the Dufferin Mall is my closest mall.